Every activity that you include in your group process should be there for a specific assessment purpose. Don’t have an activity just to have an activity. You should include activities that get to the heart of your department’s mission, vision, values, and culture. If your department is very program-based in which your student staffers are developing activities and programs, then your group interview activities should be geared to assess skills needed for this area. Assess for the personality and skills that are essential for succeeding. Planning – Provide the candidates with a basic idea for a program and have them list the specific steps they would take to implement that program. Marketing – Similar to the planning activity, have the candidates develop a marketing plan for a program idea that you give to them. Provide paper and markers for them to draw actual flyers and / or posters. Creative Sanctioning – Give each candidate a a sheet with various student conduct scenarios on them. They are to come up with suggestions for what they think are the appropriate sanctions for each violation and present them to their group. Following Instructions – This is a simple assessment that can be easily overlooked. All candidates should be evaluated on very basic habits needed to perform well in the workplace. This is an easy way to eliminate candidates from consideration. Do they show up on time for the group and individual interviews? Did they bring the required materials you asked them to bring? Did they complete any assignments and / or paperwork you asked them to? Candidates who fail to follow instructions (or simply disregard them) during the interview process will most likely exhibit the same behaviors if offered the job. 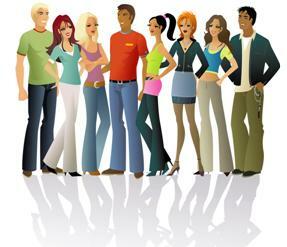 Listening – Break candidates up into various groups and assign a current staffer to each group. Have the staffer pretend to be a concerned parent or student and read a one-page scripted dialogue that you create. After the staffer is finished reading, they then quiz the candidates on what they just heard. You can rotate staffers through each group with a different script and different set of quiz questions. Each candidate should be given a sheet in which to write down the answers for each dialogue quiz. Group Evaluations – In one of my doctoral courses, we were assigned a group project that has various components that were to be completed over the length of the semester. At the end of the semester, we had to provide a written evaluation of each of our teammates on their performance. You can do something similar in which you have groups who work together throughout the course of your group process. At the end of the group process, they can provide a written account of how they thought their team members performed. Not only will this offer some more insight that may corroborate what you already feel about particular candidates, but you can judge the content of the actual comments. Was a candidate particularly harsh in their criticism or did they provide constructive feedback? Was any feedback inappropriate? (i.e., discrimatory, foul language, overly negative). For more information, please see our previous post titled Creating Effective Group Interview Activities. This entry was posted on Thursday, September 27th, 2012 at 4:25 pm and is filed under Human Resources. You can follow any responses to this entry through the RSS 2.0 feed. You can leave a response, or trackback from your own site.